The company has made a concerted effort to court large businesses since the launch of its Enterprise Grid product last year. And during its second annual Frontiers event in San Francisco last week, Slack - which recently raised US$427 million in new funding - highlighted several enterprise-focused announcements, including the acquisition of Missions.ai, its new partnership with Atlassian, and a glimpse of its feature roadmap. “EKM should appeal to a good number of organisations that have not yet embraced cloud collaboration due to security and privacy constraints,” said Raul Castanon-Martinez, a senior analyst at 451 Research. The feature should help expand Slack’s appeal in regulated vertical markets and regions, he added – areas the company has not typically had a strong presence in. It could also attract firms that have been wary about adopting cloud chat tools. “This should appeal to prospects that may have in the past hesitated to adopt cloud-based collaboration tools, including, for example, some of the Hipchat Data Centre and Hipchat Server customers that will be looking for an alternative solution,” said Castanon-Martinez. Enterprise Grid offers centralised management of the team chat application on a company-wide basis and supports up to 500,000 users. As of May, Slack had eight million daily active users. 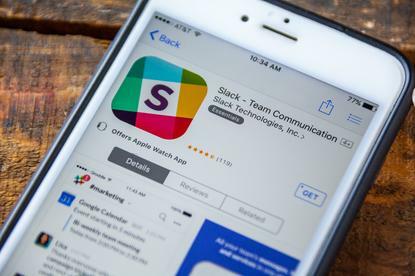 Slack will see its user numbers continue to grow as customers of Atlassian’s HipChat and Stride team collaboration tools begin to migrate. That follows a strategic partnership between the two companies that has resulted in the two Atlassian products being discontinued, with migration to Slack encouraged by the Australian software vendor. “So Atlassian just announced Confluence integration into Slack and there is going to be more of those coming – not only new integrations but also deeper and richer integrations with existing tools like Jira Cloud and Jira on-premise."